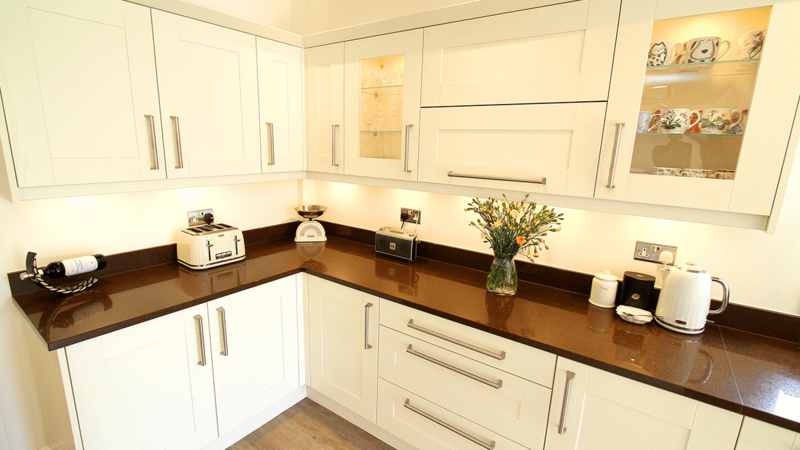 We are extremely proud of our work. 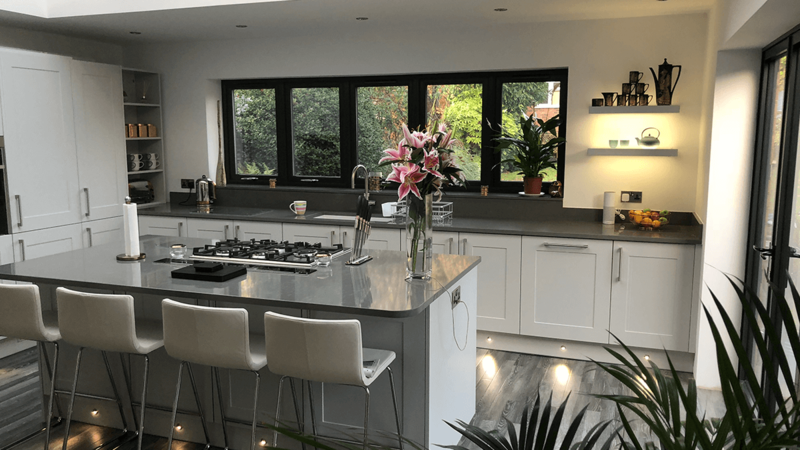 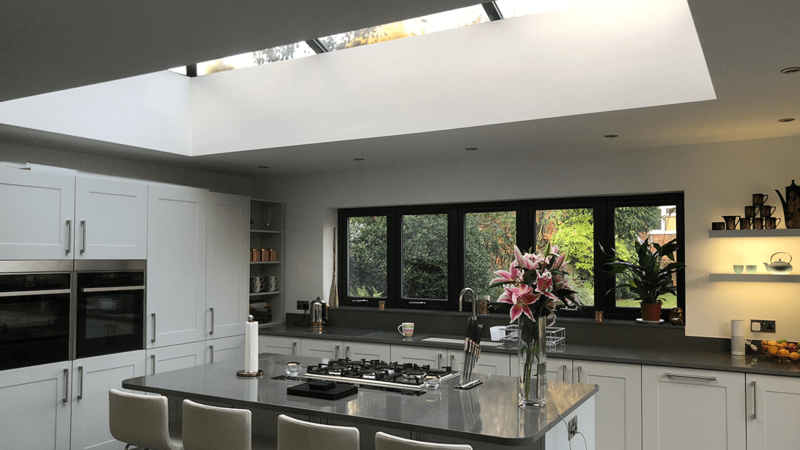 Whether we have completed a stunning modern kitchen full of light, or a traditional kitchen which makes the most of the house design, we want you to see it. 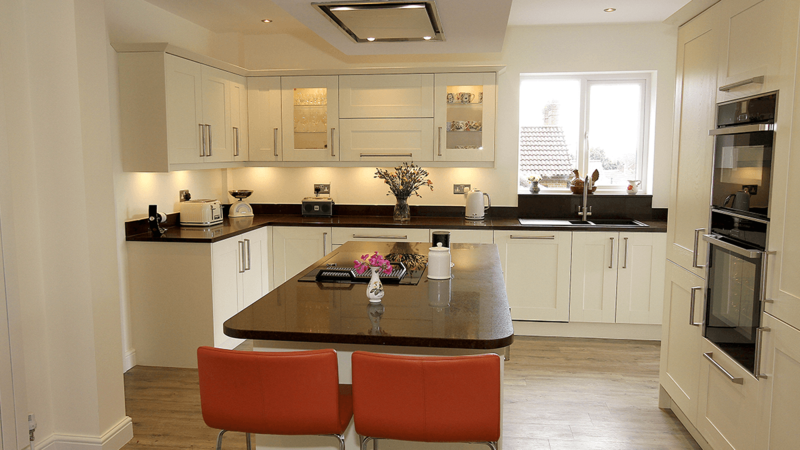 Not only do they highlight our quality of work, but they allow you to get a good idea of your options, and look for inspiration. 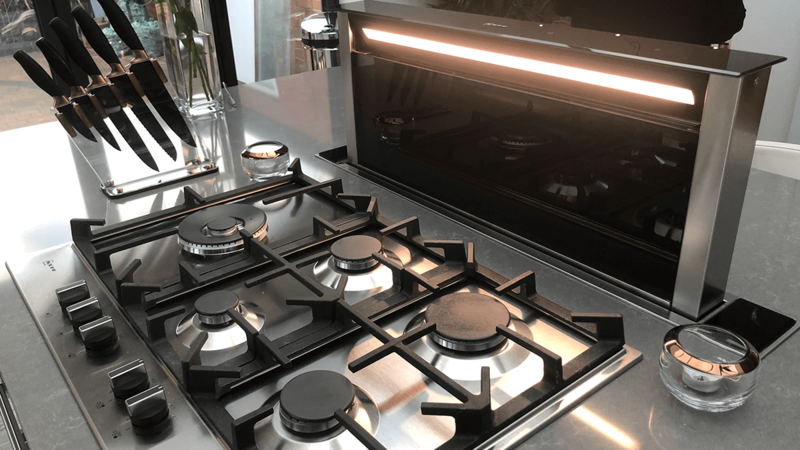 You may come across an element that you have not yet considered, that would work perfectly for you. 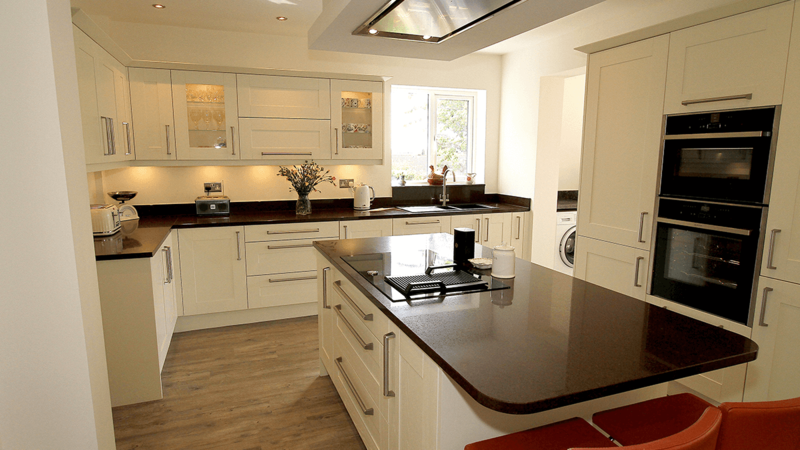 As they are our jobs, we are able to answer any questions you may have. 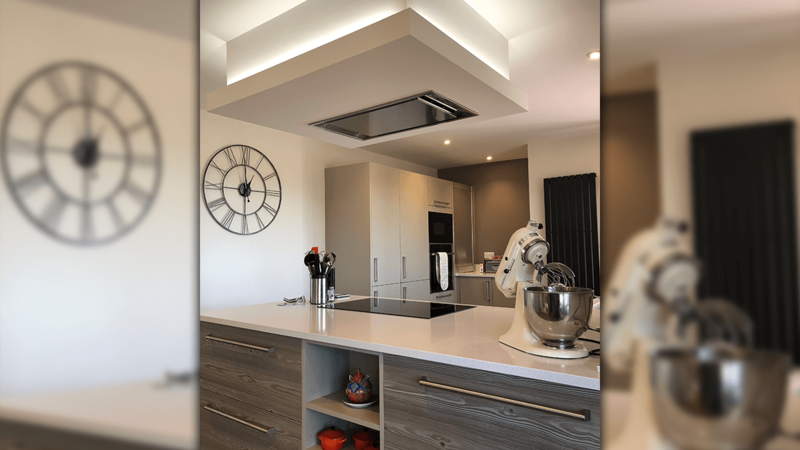 Brief: Focus on open plan living within three zones featuring a cooking and kitchen area, dining area and a living space. 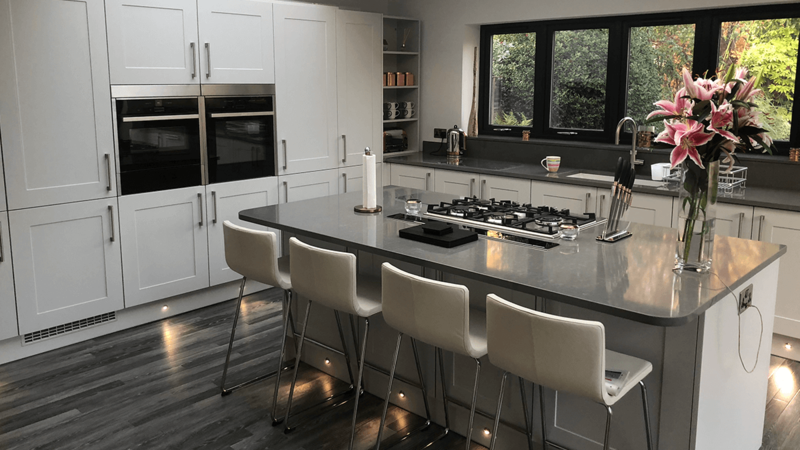 Brief: A contemporary design to include built-in appliances, solid surfaces, a minimalist look with the interior design colour scheme to include aspects of grey tones. 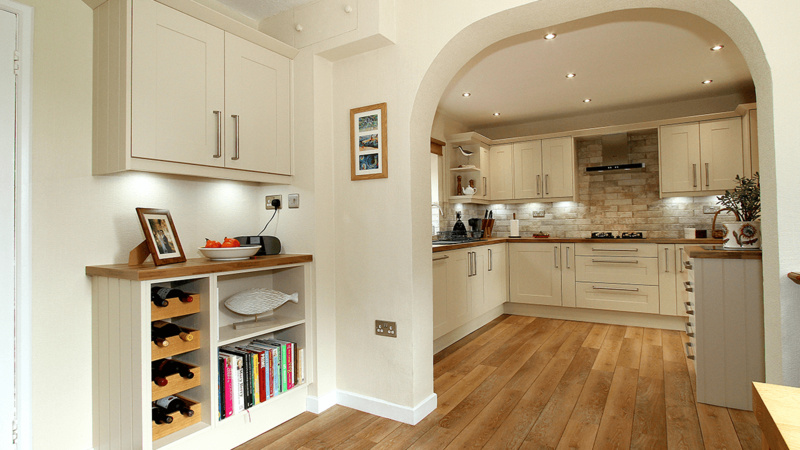 Brief: To make a social able and more desirable space for all the family to use by creating one open room. 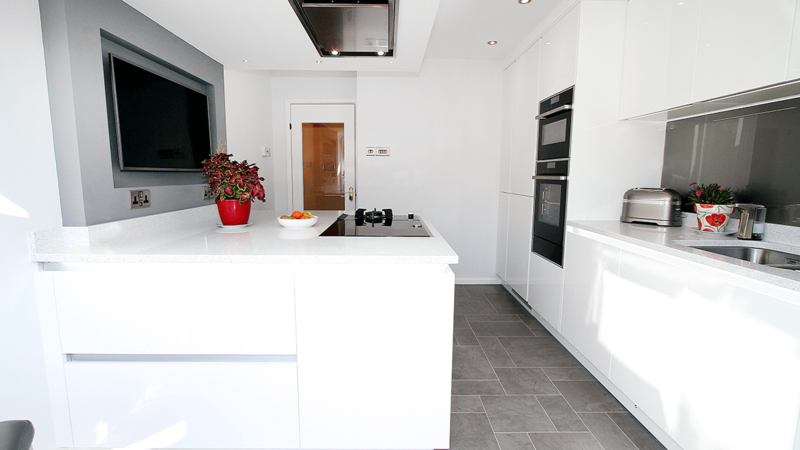 The original floor plan consisted of three rooms which made the area a very disjointed living space. 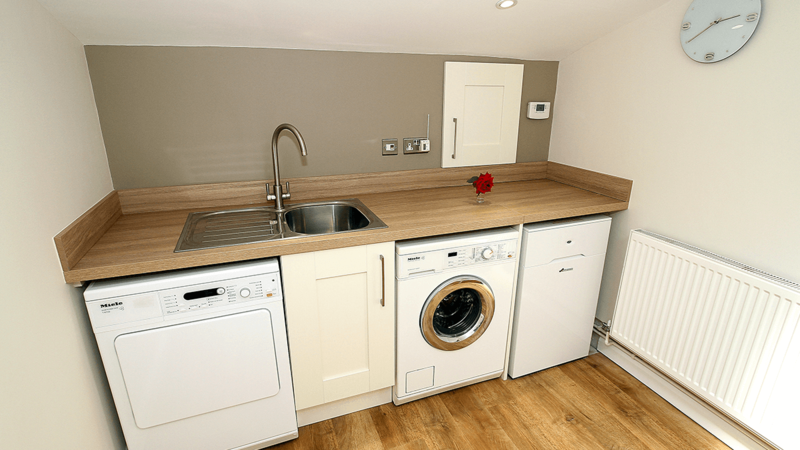 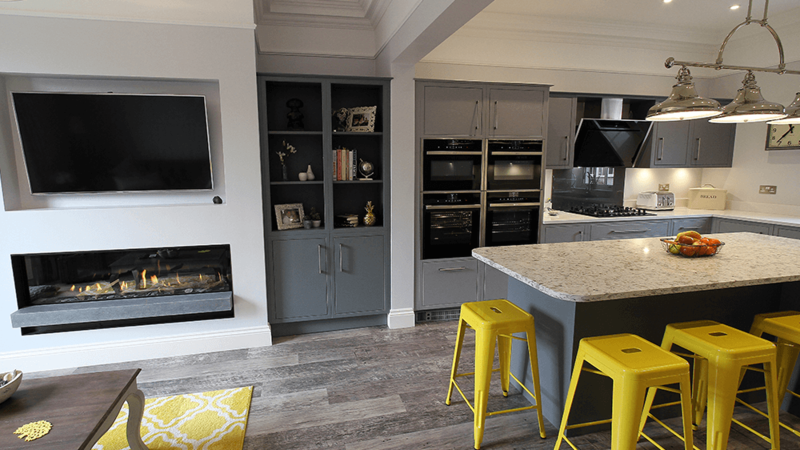 Brief: A spectrum of appliances to work within a compact space, maximise exposure of light with a minimalist look and storage solutions required. 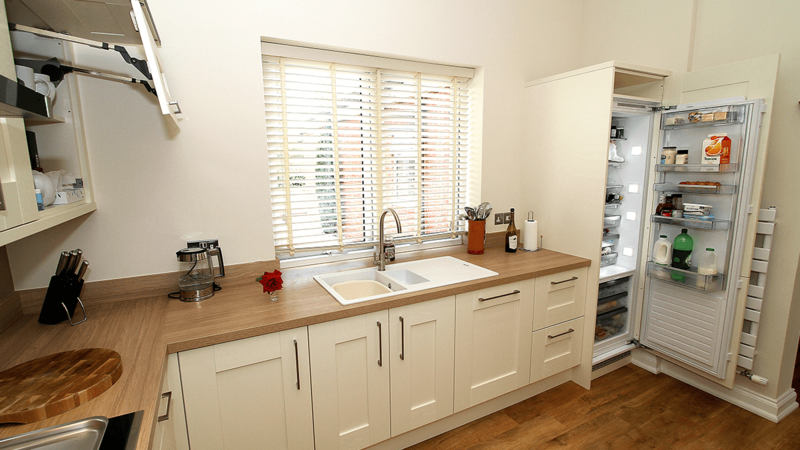 Brief: This kitchen space was situated in a beautiful cottage dating back almost 170 years. 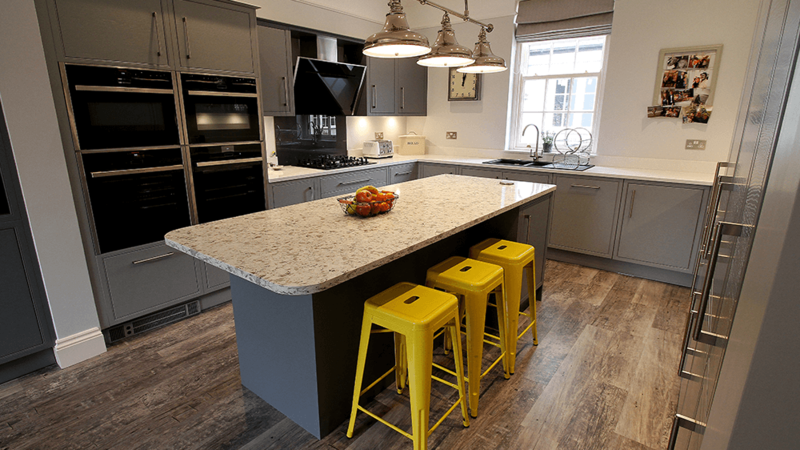 The design challenge was to reflect and compliment the charm and character of the property. 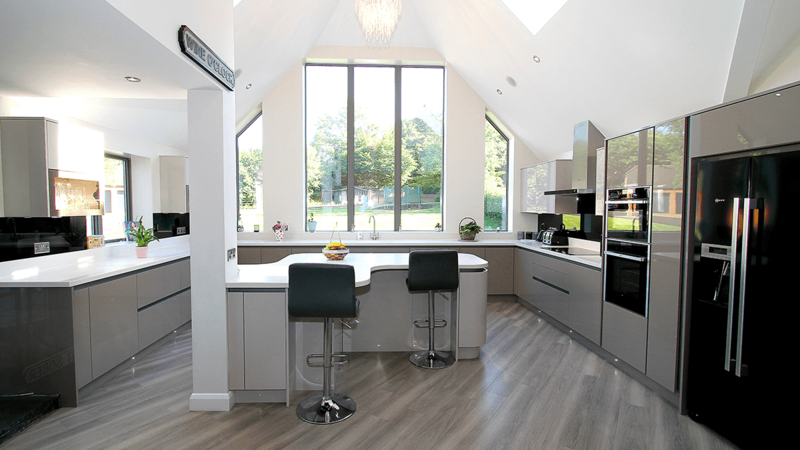 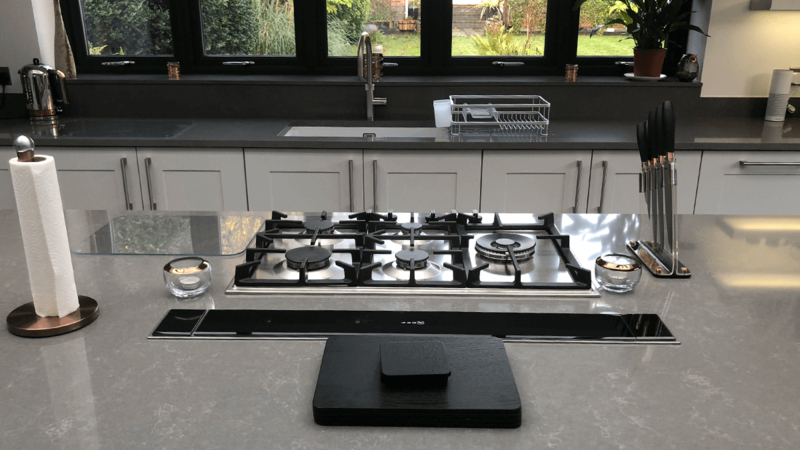 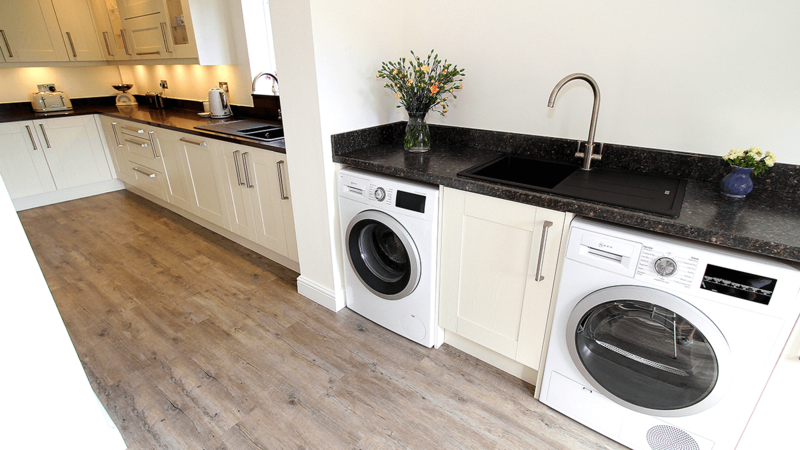 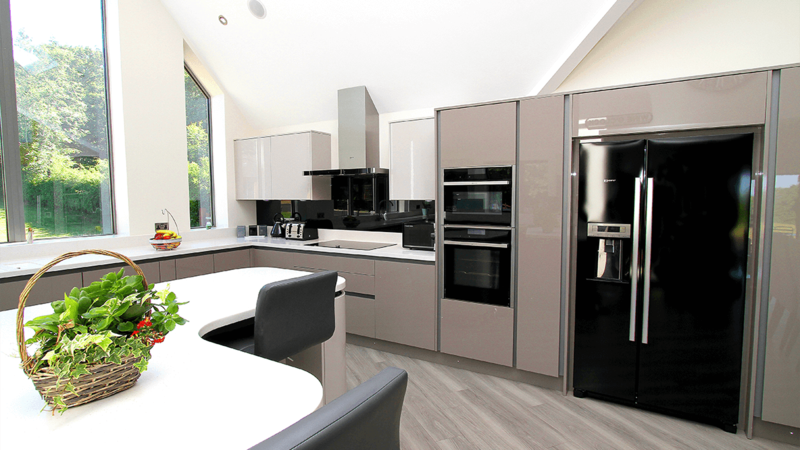 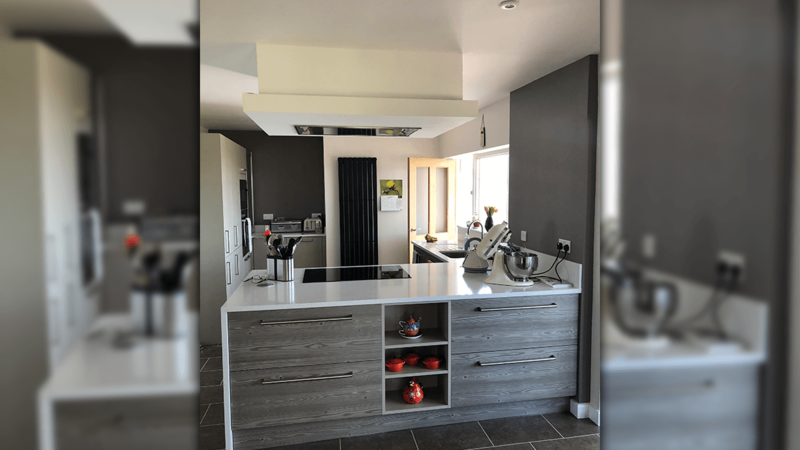 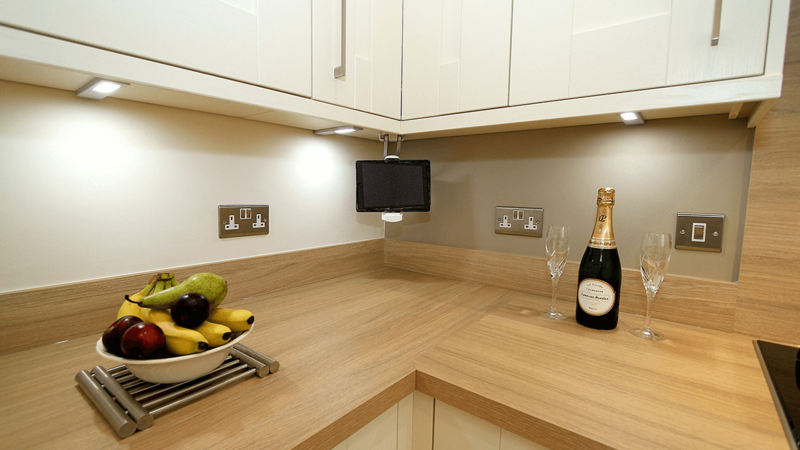 Brief: A stylish and functional design was brought together using a classic shaker woodgrain, paired with oak worktops with full complement of Neff appliances and Karndean flooring. 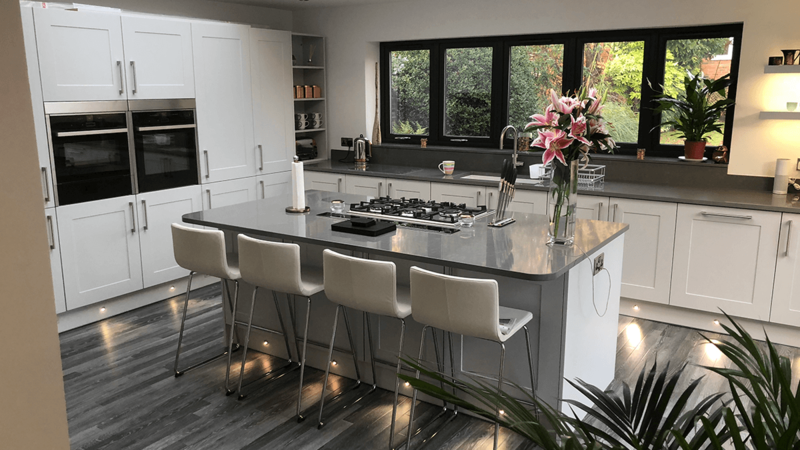 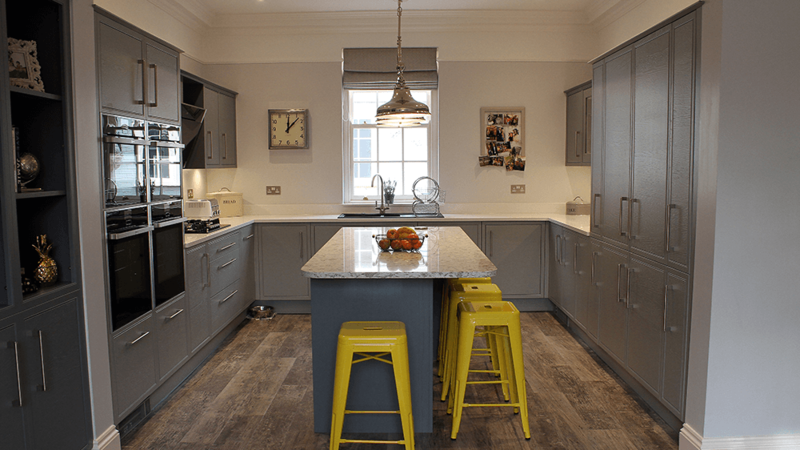 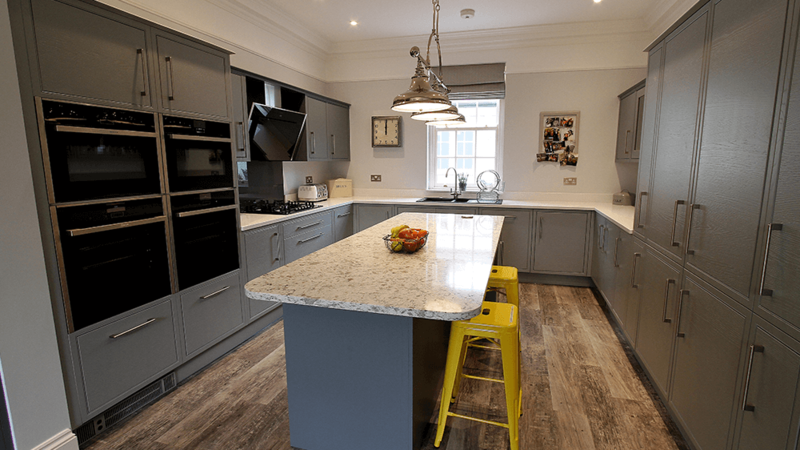 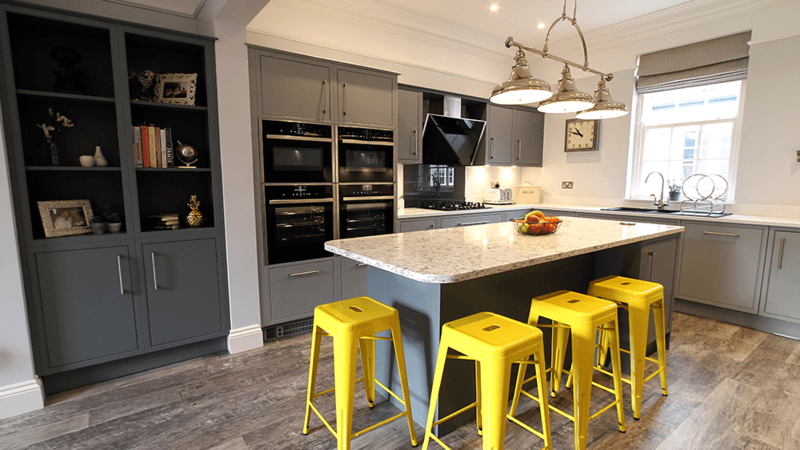 Brief: A Victorian property set in Wollaston with a new kitchen and laundry extension was designed using the epitome of understated elegance Castle grey and graphite tones. 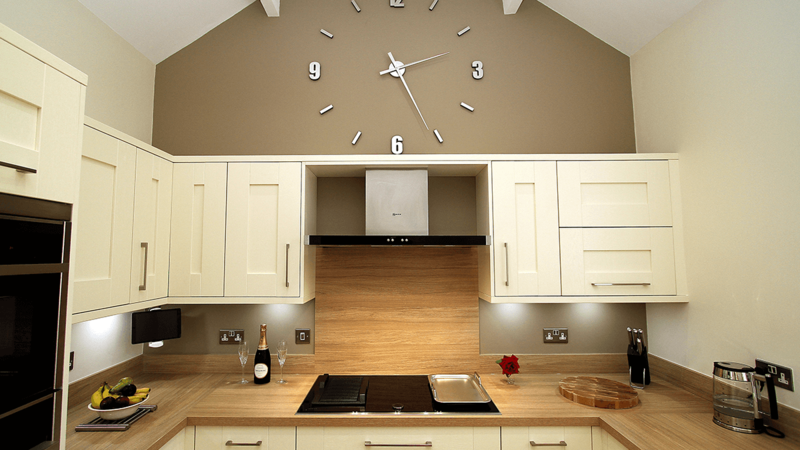 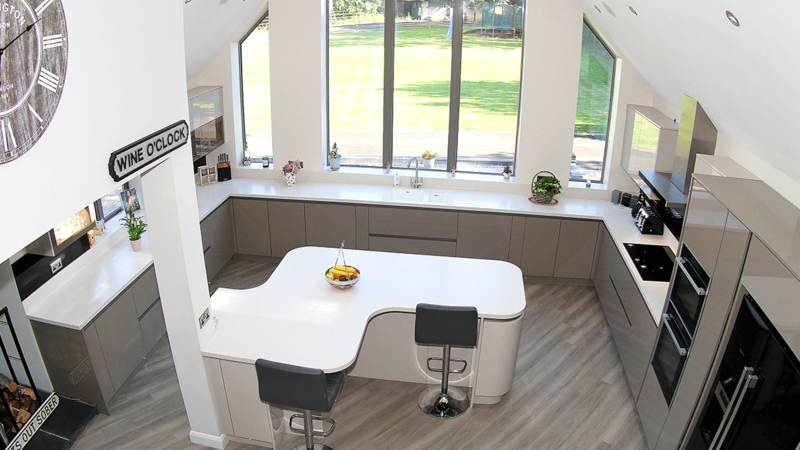 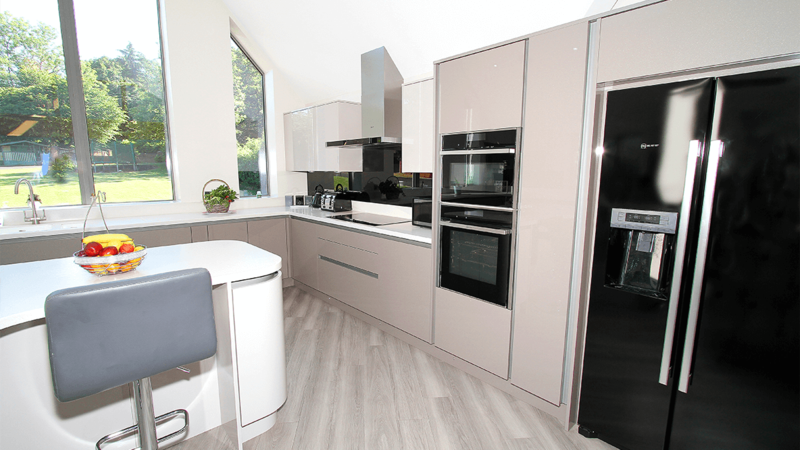 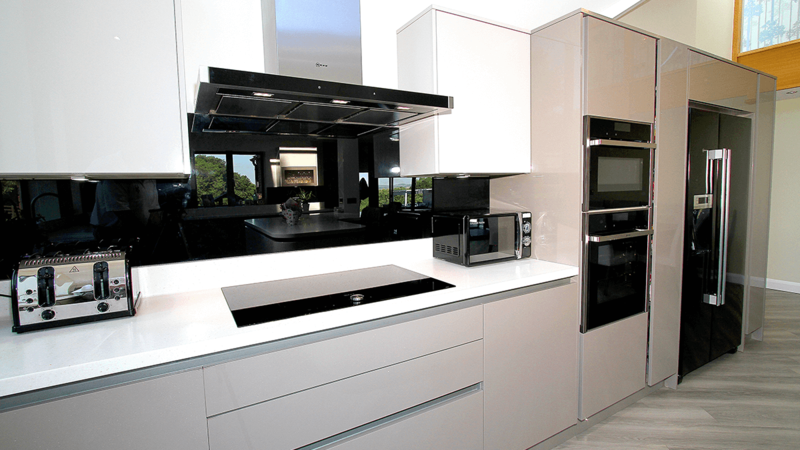 Brief: A minimalist design with integral storage solutions combined with a full complement of Neff appliance’s. 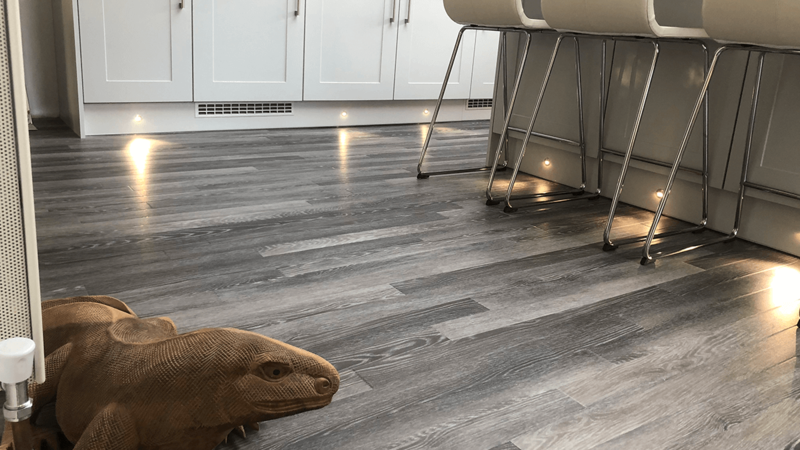 Karndean flooring to add the final subtle tone. 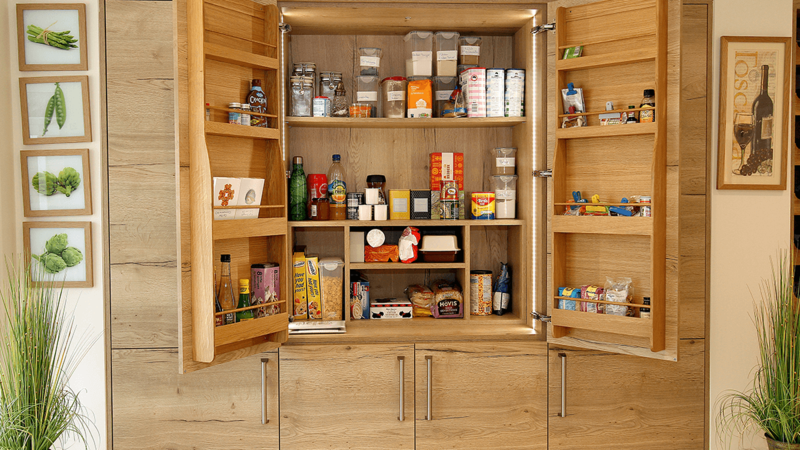 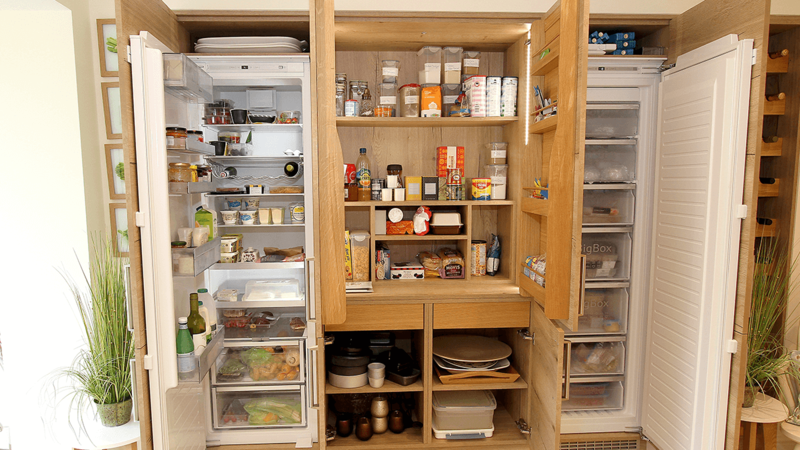 Brief: A functional design required with an abundance of effective storage solutions. 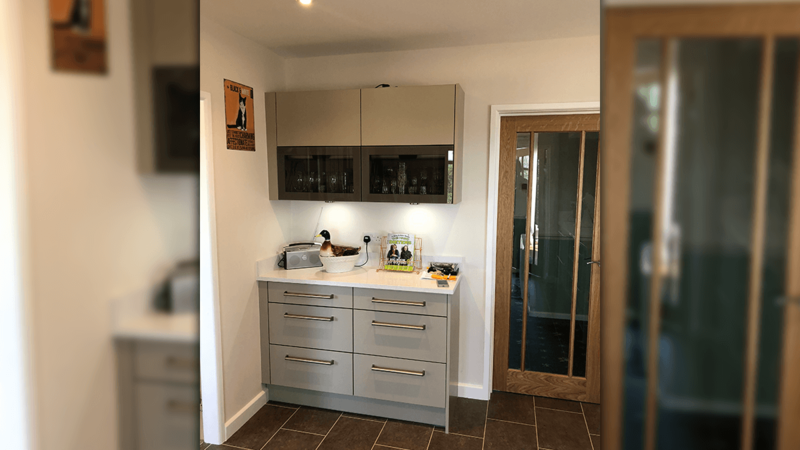 Pull out larder systems and an integral built-in larder solution merged with a timeless look of natural oak created an elegant contemporary kitchen. 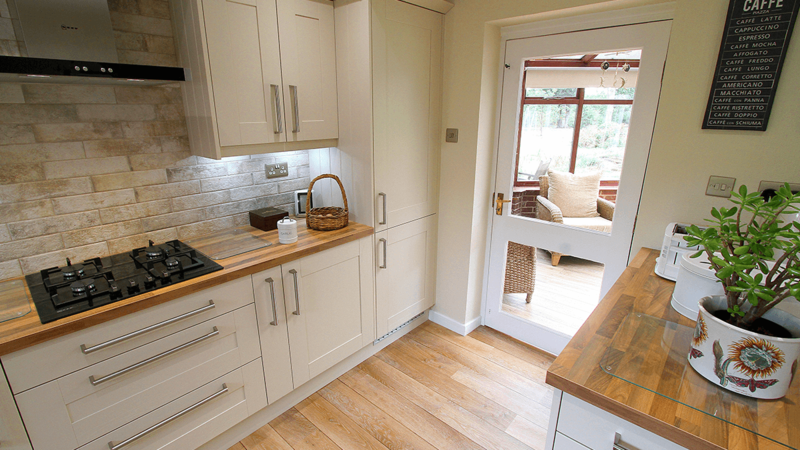 Brief: Migrate existing kitchen footprint to the other side of the property. 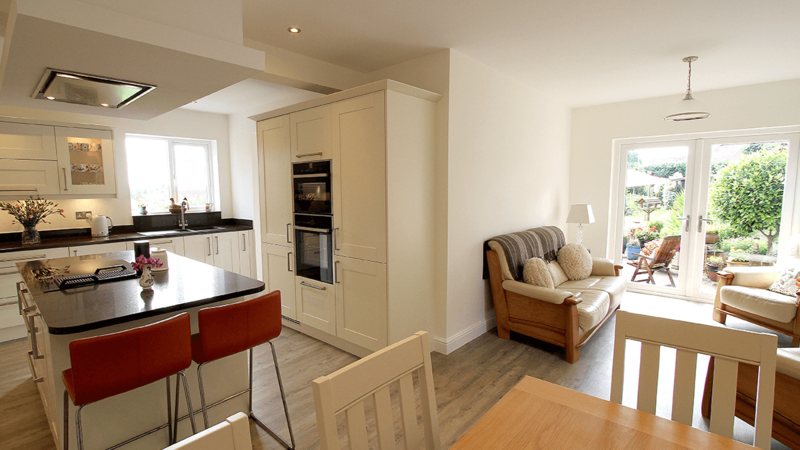 The rooms which we were given to incorporate the new kitchen was the lounge and dining room of the property. 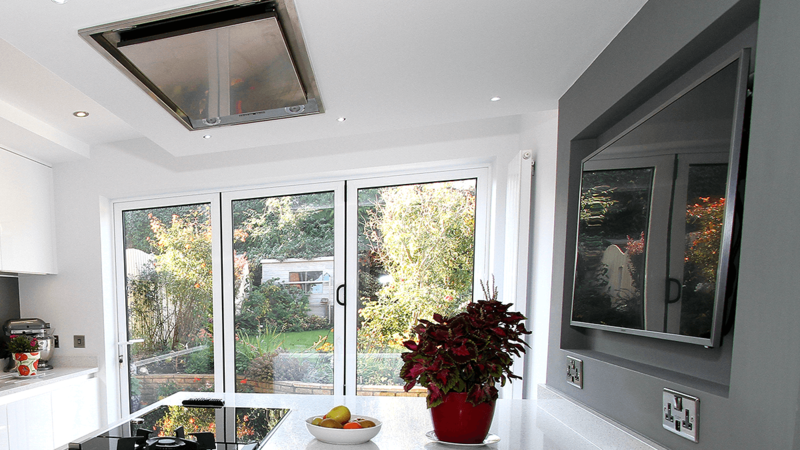 We constantly refer to our manufacturers for training and information regarding the high-quality products we sell. 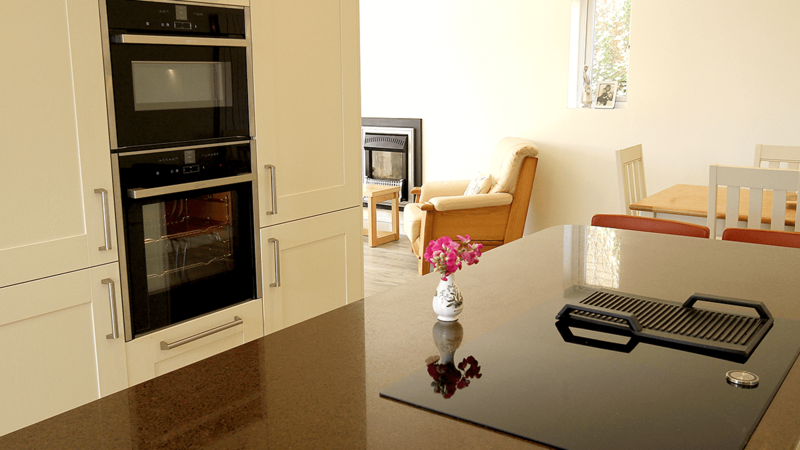 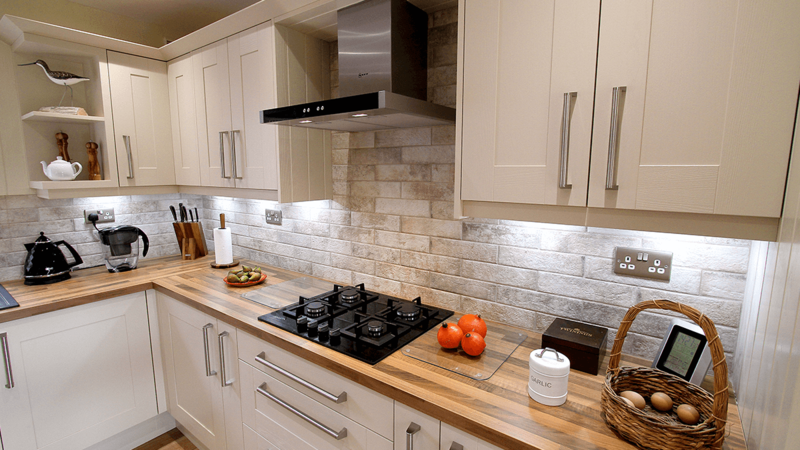 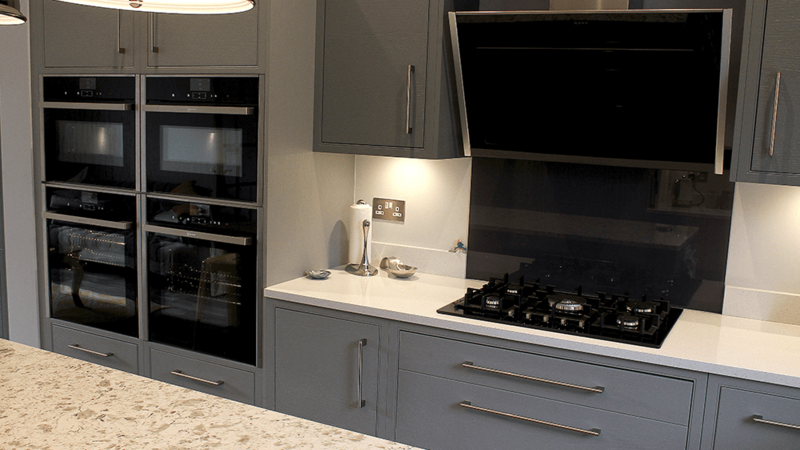 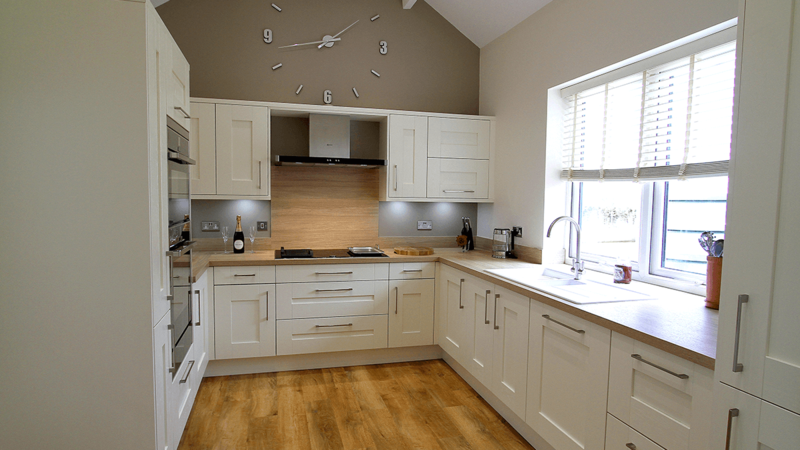 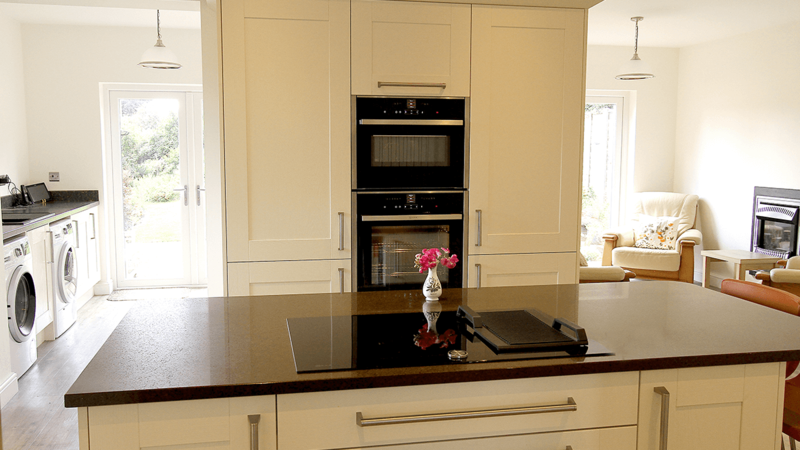 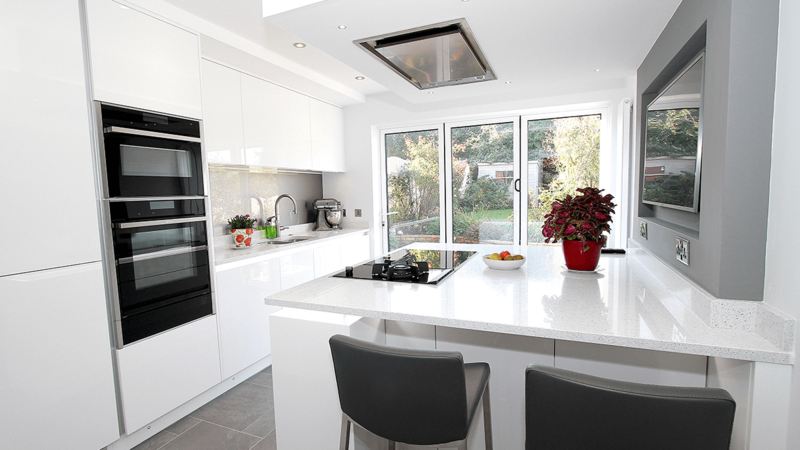 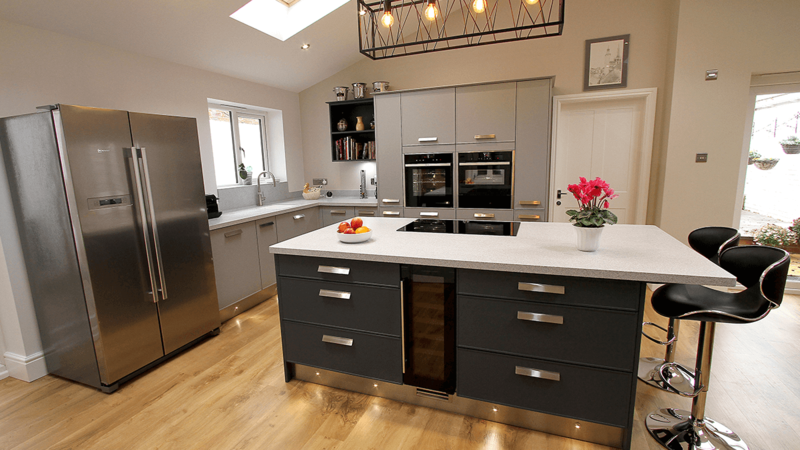 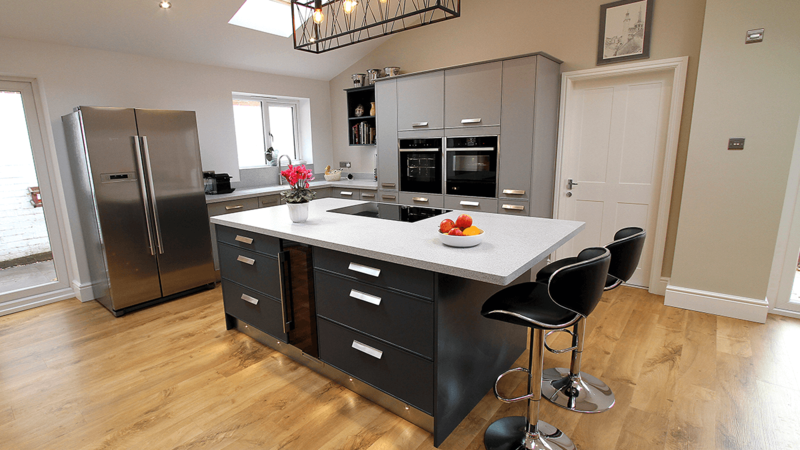 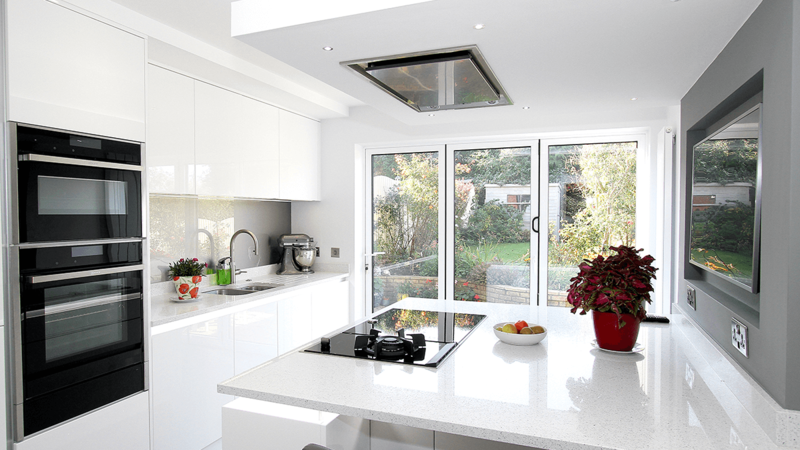 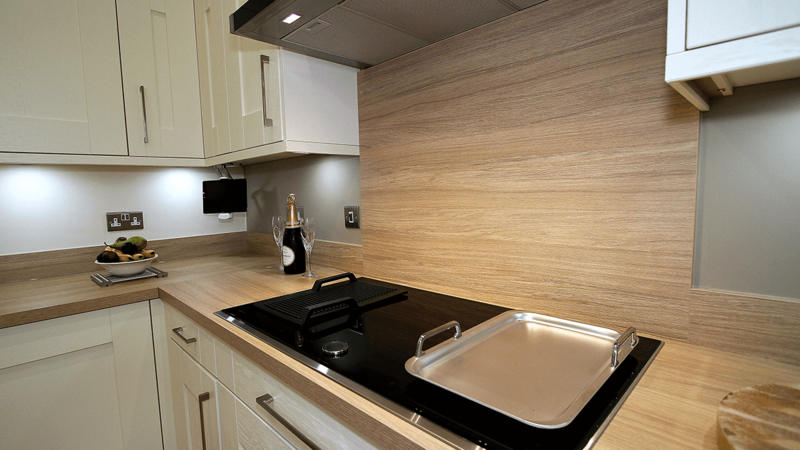 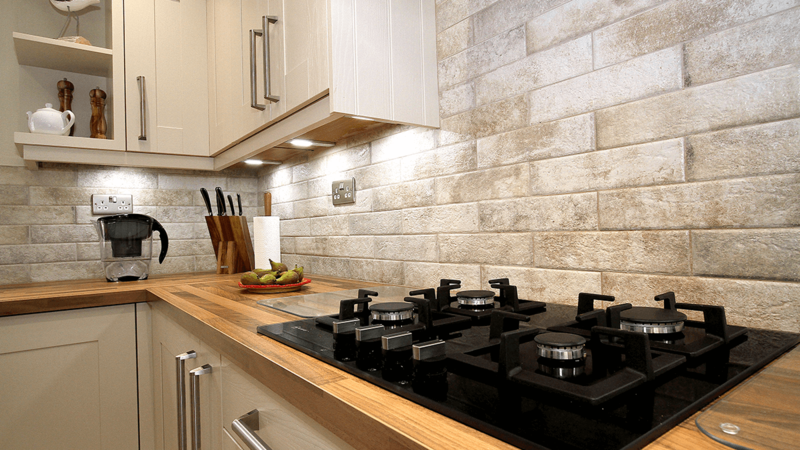 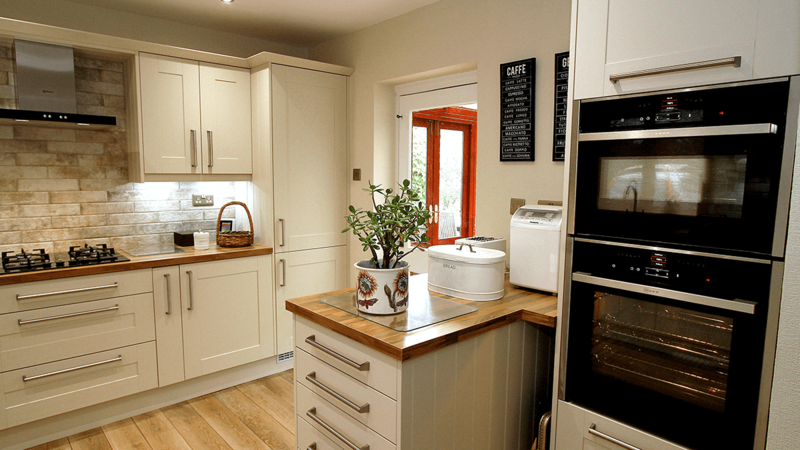 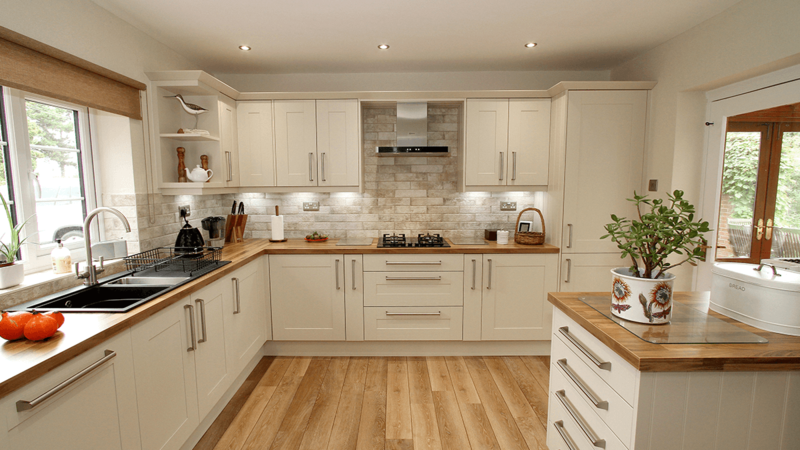 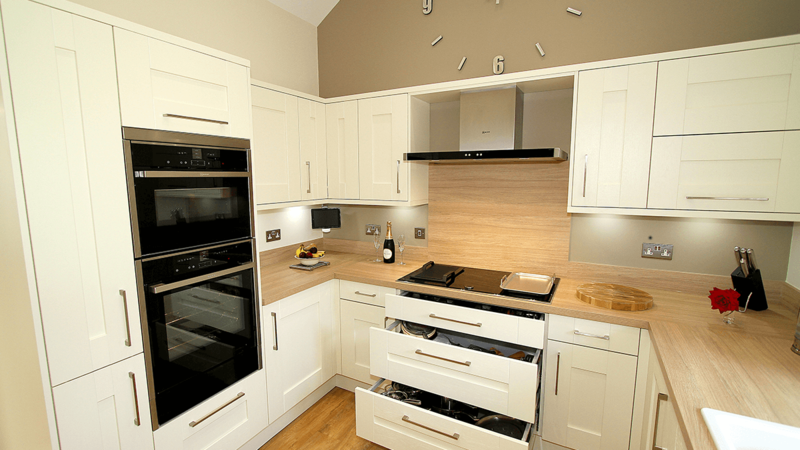 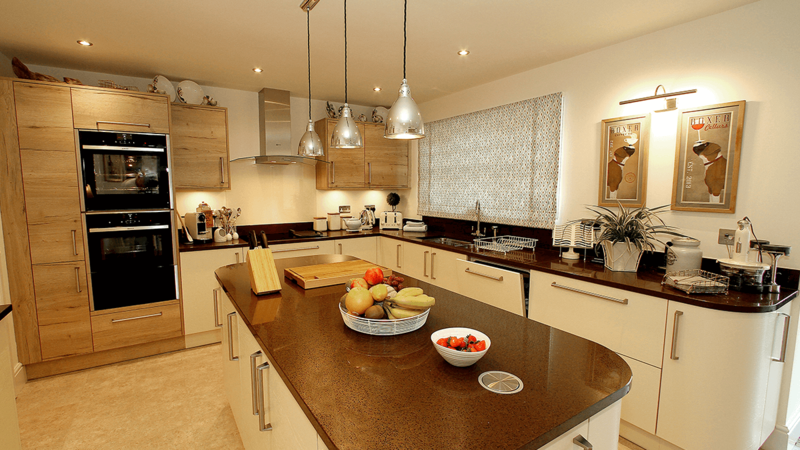 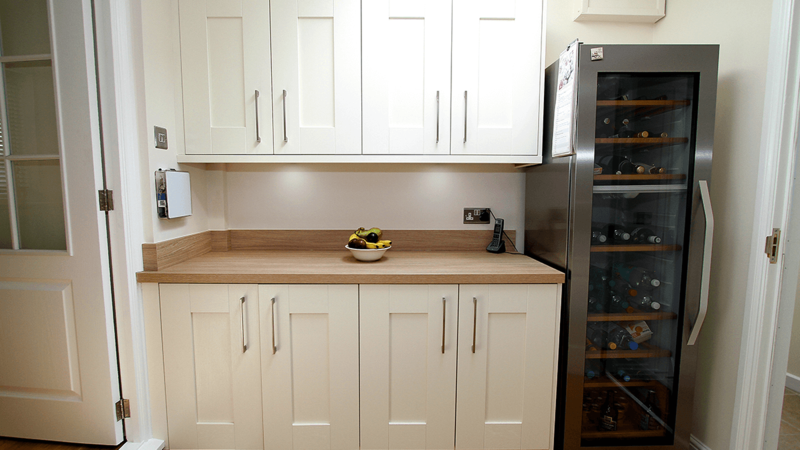 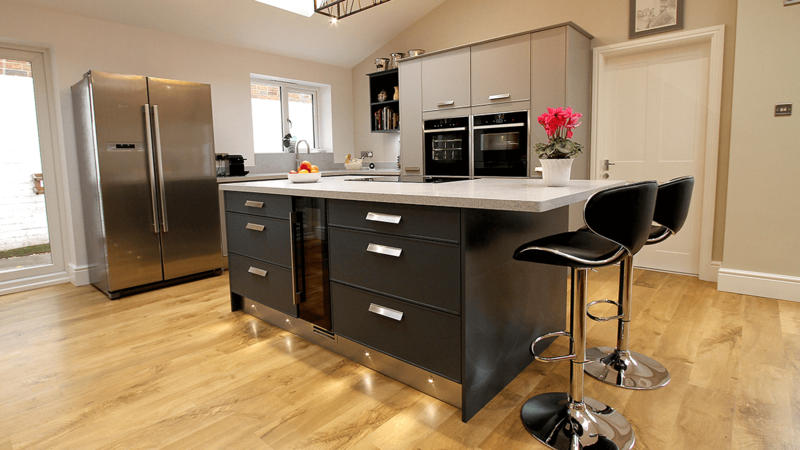 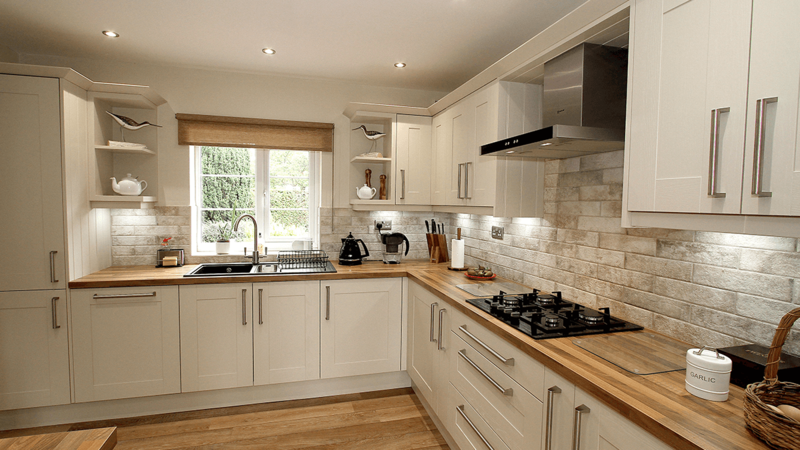 Our knowledge is then passed directly onto our customers, in answering any questions they may have regarding the kitchen furniture or appliances. 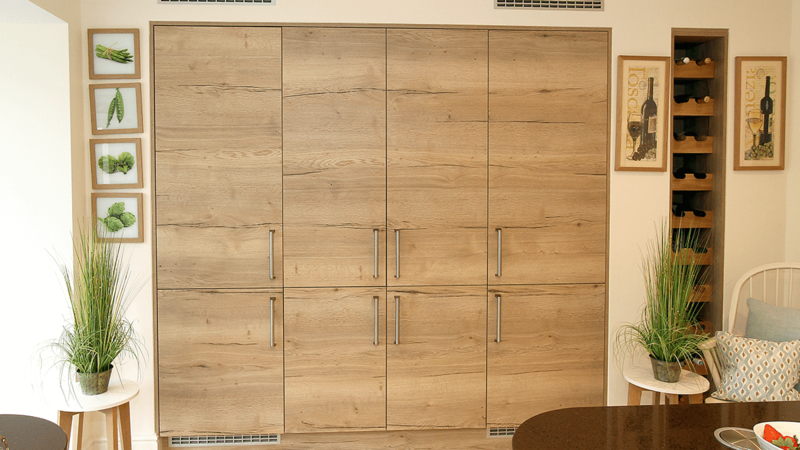 We pride ourselves on offering you the customer, a quality and unrivalled service that makes the whole process of purchasing and fitting luxurious rooms into your home.